Where we live in Houston, Texas...anyone residing here or passing through our fair city while on business or on vacation is bound to see a variety of colorful blooming oleander bushes which typically come in a variety of pink to red colors as well as white. There are also cultivars that come from the yellow side of the color chart, but by far the majority of the ones seen blooming here are in the pinks, reds and white categories. One reason for this abundance of oleanders is their hardiness and drought resistance. No special enriched soil is needed and the highway department often uses them mixed in with other hardy species of plants along our streets, interstate freeways and also as plantings in the medians of roads. Nice photos of different colored oleanders set to music. Galveston, Texas...Houston's nearby Gulf of Mexico coastal city is actually nicknamed "the Oleander City" because of the great abundance of these radiant ornamental bushes in their city. The salty breezes do nothing to hinder or impair their growth and thick hedges can be the result as well as solitary splashes of color if utilized as a single specimen plant. One nice aspect of using oleanders in one's landscaping in addition to their hardiness is the fact of their being evergreen. 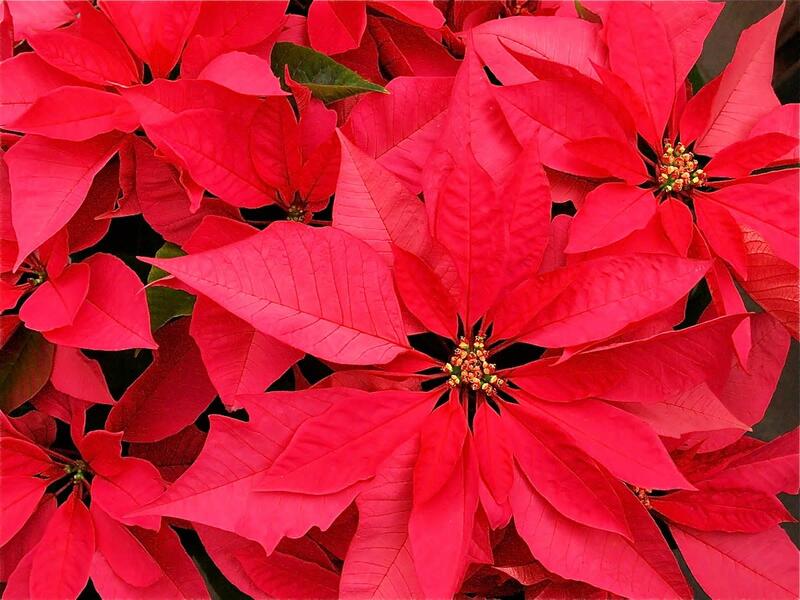 They never shed their green elongated leaves as deciduous shrubs and trees do in the fall and winter months. They are also cold tolerant and can withstand occasional frosts without detrimental effects. If however we have longer lasting days of constantly freezing weather, as occasionally happens in Houston, the leaves can turn brown. In the many years that we have had oleander shrubs in our yard, this seldom happened although the weather seems to be changing of late and we have actually had some extremely rare episodes of snow! the last couple of years. What I did to remedy this situation with our oleanders is to give them a haircut! If most of the leaves had become unsightly, I cut them back to about a foot or foot and a half from the ground and new green growth rapidly appeared. For every branch cut, it seemed that even more grew back making the shrub even bushier in appearance when fully regrown to its maximum height of from six feet to over twenty feet (2 - 6 meters). Our pink variety grew to at least a twelve foot mark offering a nice colorful border between our houses and a softening effect against the common wooden fences in this area. 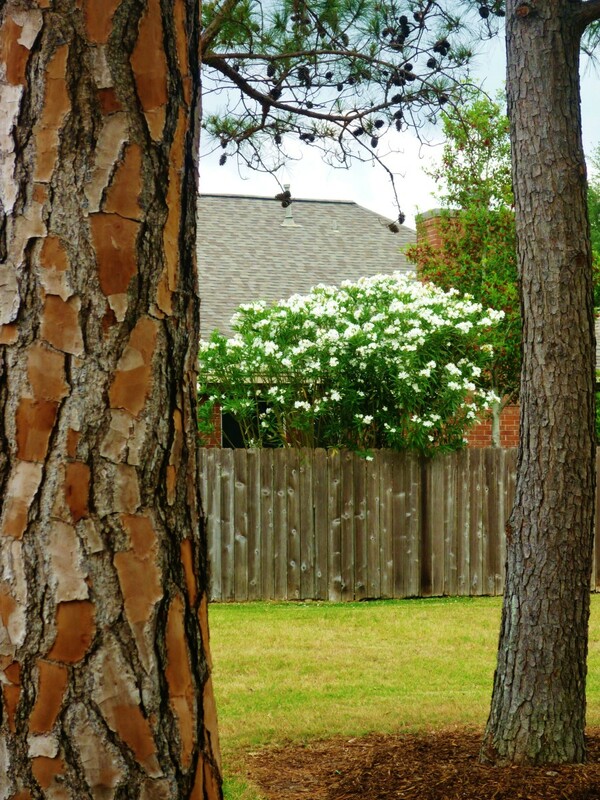 The photo above shows a white blooming oleander shrub peeking over the fence in our current subdivision. It looks to be about twelve feet tall since the fences are typically at a six foot height. Yes...these beautiful flowering plants are reputed to be poisonous...but then who regularly munches on oleanders? I love making split pea soup. 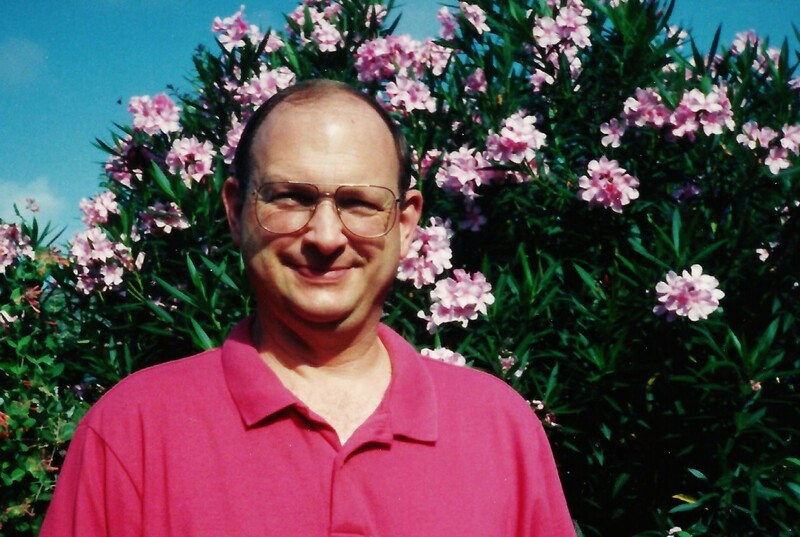 A standard joke in our family was that if my husband really displeased me, he had better watch out when eating my split pea soup because it would be easy to mix in some green oleander leaves and he would never know the difference. I am happy to report that such skullduggery never took place and he can now breathe a sigh of relief as to any further threats as we no longer have oleander plants growing at our current address. Of course I could always go snip a few leaves elsewhere if things get out of hand. Ha Ha! 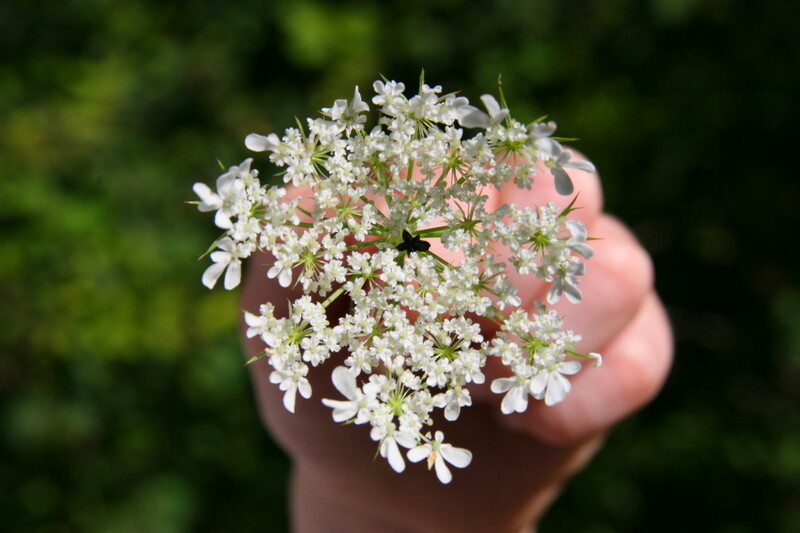 In reality, many plants are poisonous but few people or pets are ever affected by them. We have had many pets and oleanders at the same time and none of our pets ever became ill from those readily accessible plants in our yard. Interestingly enough, that same toxicity is finding some good purpose with regard to treating certain cancers. Ongoing research is still being done in this area. 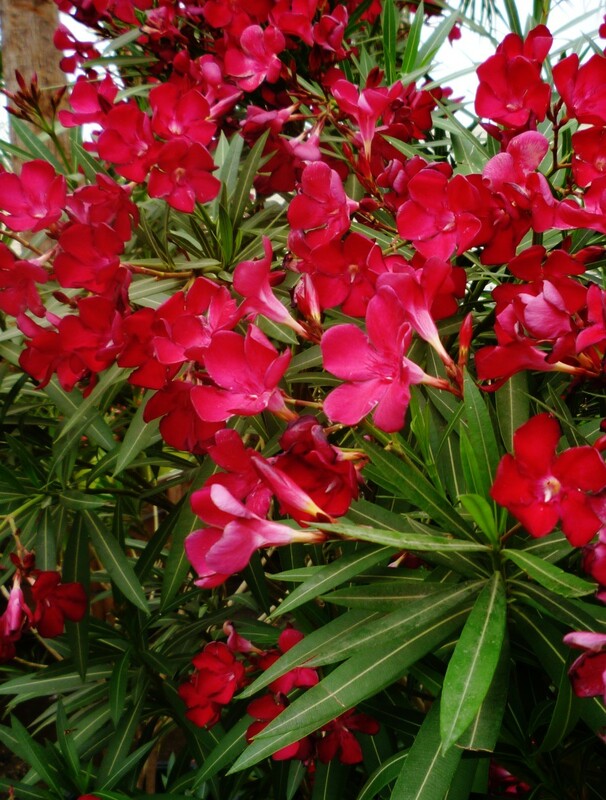 Do NOT attempt self treatment as all parts of the oleander shrub can be toxic. 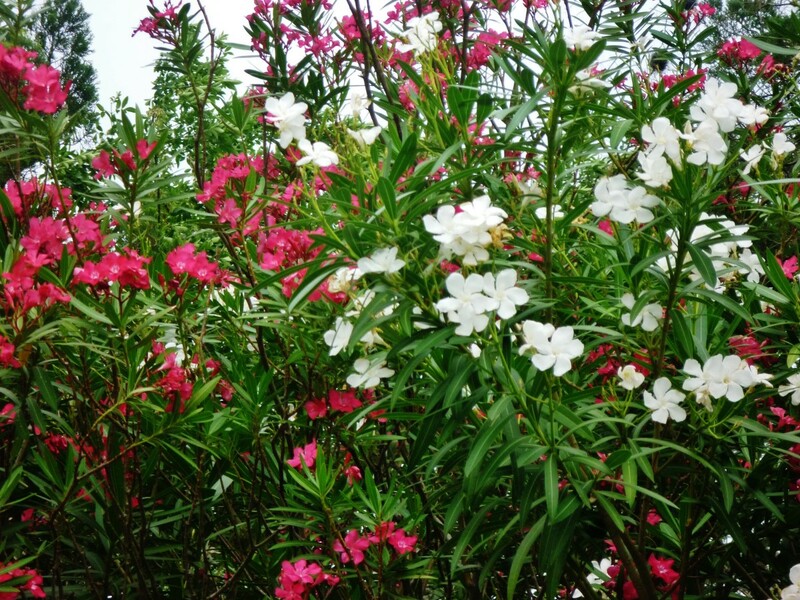 Consult your medical practitioner if you are interested in learning more about the health risks and possible benefits derived from the oleander plant. We purchased our pink oleander shrubs from a nursery when we moved back to Houston from Wisconsin Rapids where we had lived for four years. The house we purchased had never been lived in and there was no landscaping, thus I had a blank slate from which to devise a garden plan. As many large windows faced our backyard, I planted three oleander bushes in one corner against the wooden fence and another couple in another spot with other plants in between and in front of them. They were all within view of our living room. Once we learned how easily they could be rooted from cuttings we began to share them with neighbors and even my husband's boss at the time. By cutting the stalks and pulling off the leaves at the bottom of the stalk and sticking them in a bucket of water (with or without root stimulator) soon roots would begin to form at which time they could be planted directly into the ground. Our next door neighbor had luck sticking the cuttings directly into the ground and watering them daily until he noticed some new growth. Some people use other methods like keeping the cuttings moistened in sand or special combinations of soils. 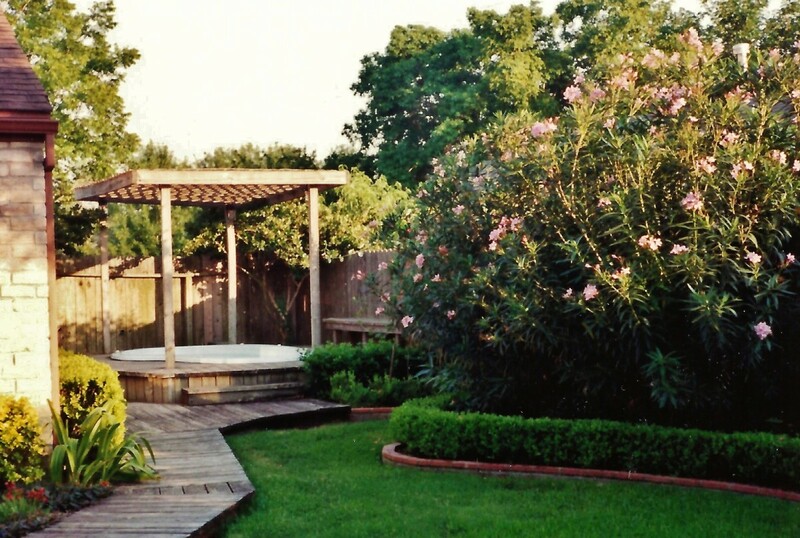 In any case at least in Houston it is pretty easy to share oleander cuttings with others who wish to grow the hardy perennial bushes in their own gardens. These southern beauties are frequently seen growing in gardens in the southern regions of the United States as well as southern Asia, southern China and in the Mediterranean region and elsewhere. They grow best in bright sunlight conditions. 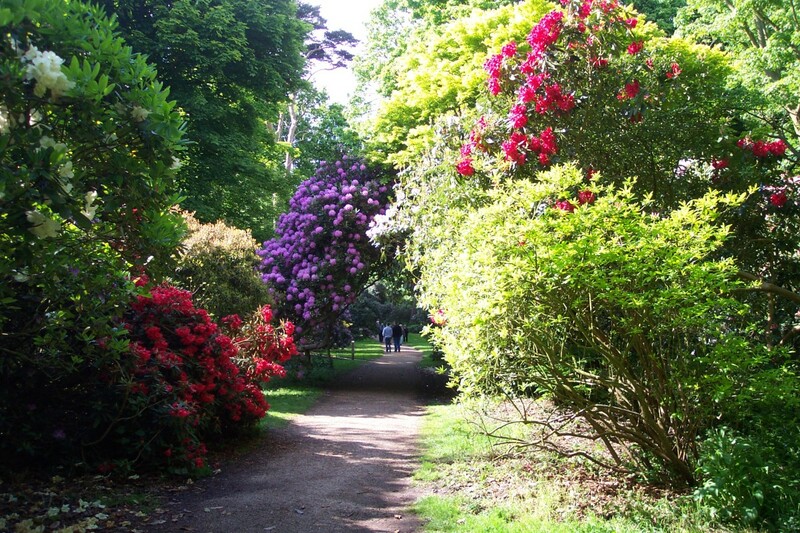 Once established they need little care but give much back in the way of beauty as they have a prolonged blooming period. The pink oleanders (Nerium oleander) that we grew did not seem to have much of a scent but apparently some varieties offer a sweet perfumed odor in addition to the resplendent flowers. We planted a dwarf variety of oleander in my mother's back yard which got to be fence high...around six feet or so...and just as bushy. Be sure if planting oleanders in the ground to leave enough space around them to branch out and grow remembering that when full grown, they are a large shrub. 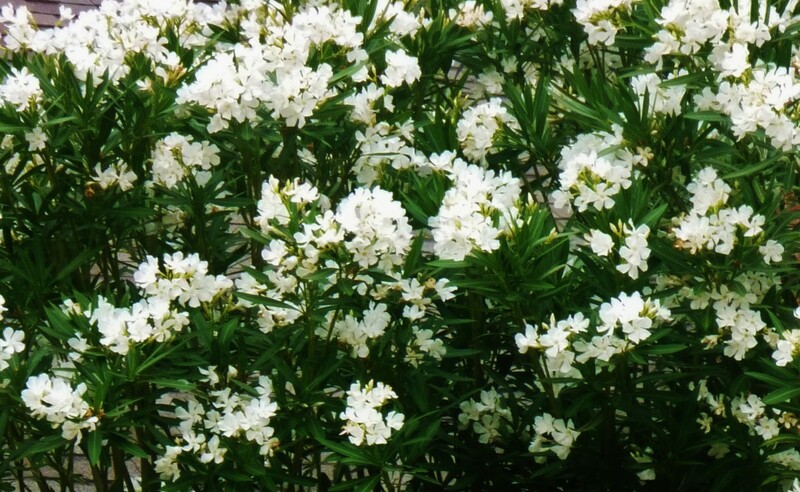 Naturally people in colder more northern climates can also grow oleander shrubs in greenhouses or their homes if offering them enough tender loving care mixed with enough sunlight and the other requisites these perennial plants need in order to thrive. If you live in a tropical or subtropical area and are looking for a hardy shrub as well as one that is perennial and one that also blooms profusely and takes little care once established, then perhaps an oleander bush should be on your preferred list of plants to consider. If deer are the bane of your existence because they keep munching on your plants, knowing that this evergreen shrub is also deer resistant might have you running to your local nursery to choose a favorite color...or approaching a friend who will share some of their oleander cuttings with you. Where can I buy quality oleanders in the Houston area? Just about any nursery selling oleanders should prove to be a good source as long as the shrubs are well rooted. They are a hardy shrub. We gave our neighbor some cuttings one time from our shrubs. 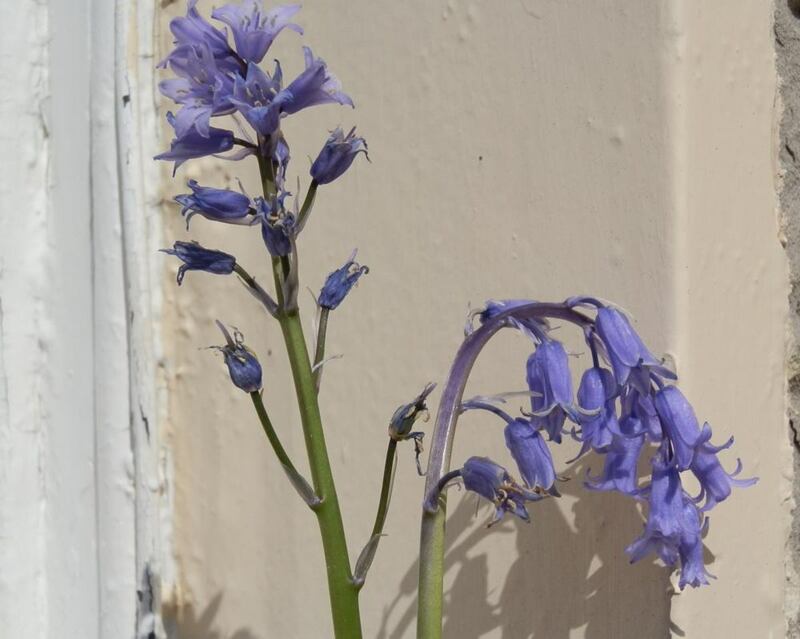 He stuck them in the ground and kept them well watered for several weeks. They all grew into magnificent bushes. A more significant decision to be made will be the choice of colors and whether you wish to purchase the regular or miniature varieties. That is a joke between us. He thinks he is fairly safe now after many decades of marriage. There are no thoughts of dispatching him with some oleander leaves mixed into his favorite split pea soup. Haha! Nice that you have gotten to see numerous oleanders growing wild in Turkey. 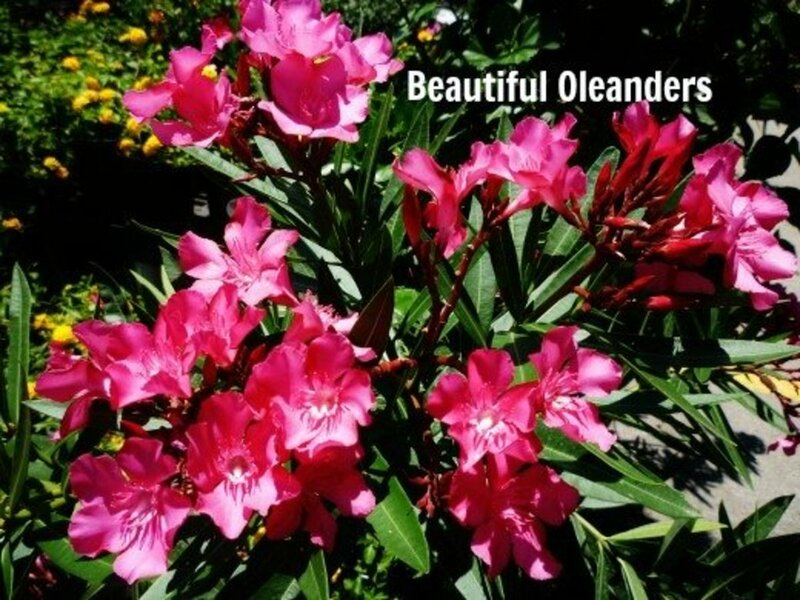 Thanks for sharing this post regarding oleanders to Facebook. They are in full bloom this time of year in Houston. 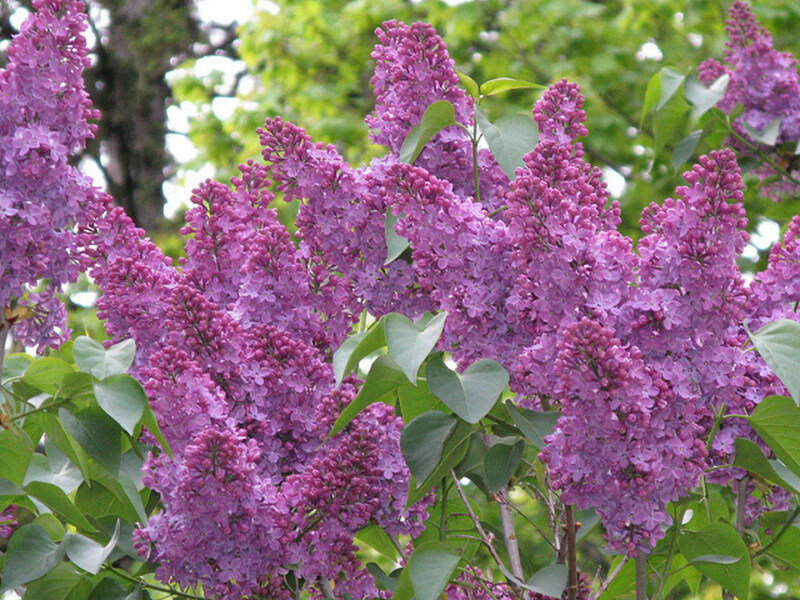 Lots of good information here for people who want to add this beautiful bush to their yard. Gorgeous photos! Posting on FB. As to growing a specific kind of oleander in New York I would suggest consulting local nurseries or even better some master gardeners in your area. Blooming time is very long with oleanders. It is just about year round in our climate and particularly heavy in the spring, summer and fall of year. I was wondering if I could use the Oleander: Hardy, Evergreen Southern Beauty in New York State. Also, regarding when and for how long it blooms. Thanks for the quick response. Hope you enjoy your beautiful hedge of oleanders between you and your neighbors. They will enjoy it as much as you! I'm thinking about oleanders to grow as a tall hedge/screen between me and my neighbors, and was a little concerned about them being poisonous. But now that you've said it, I remember we also had oleanders (as I was growing up), along with dogs and cats. We (me, sisters & brother) didn't eat them and neither did the animals. Thanks! 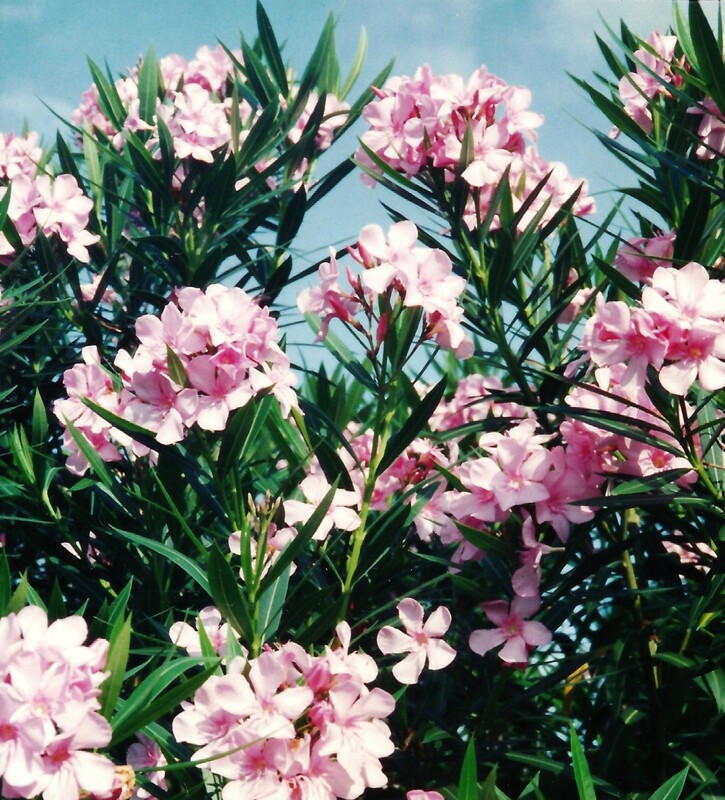 It makes sense that oleanders would also be able to be grown in Egypt since it is a warmer climate than England. Thanks for the tip regarding the autobiography. Oleanders are very pretty -I particularly like the pale pink - but would probably not survive an English winter. Incidentally, they are grown in Egypt too, according to the autobiography Oleander, Jacaranda -written by Penelope Lively. There is always a possibility of roots from large trees or shrubs planted too close to the foundation of a house or sidewalk for that matter to become problematic over time. I have generally seen oleanders planted out further from homes like against fences. They make great median plantings for highways. After doing some research it appears that the major damage done by oleander roots is to underground water sources. So if there are any water pipes nearby that could be of more concern to you. In drought situations the oleander roots will seek out those sources and you may have a pipe repair in your future. You might wish to talk to a good nursery for advice or seek out a master gardener in your area. Good luck! I have 2 very large oleanders approximately 3 ' from the house. Will they damage my foundation in time? No oleanders in our current yard but they are in the neighborhood. My split pea soup is good! Ha! Nice that you got to enjoy the oleanders at your mother's home. They certainly are easy care if grown in the right climate. Thanks for the votes and share. BTW...let me know in a comment if you send an email because I rarely look at my gmail notices. But I will be on the alert if you advise me that you sent a message. How smart...to situate the bushes so they could be seen from your living room. My Momma had them all over our property when I was growing up and they always were gorgeous. I do not have any but may just have to get a couple now that I am reminded of how lovely they are. Thanks for bringing more attention to this hub. Oleanders are certainly hardy plants in this part of the country! I am in the process of replanting my garden with evergreen shrubs, so as to have some winter color. Your article has given me some great ideas. Love the photos here, the colors are so pretty. Pinned to my 'Pink II' board this time, posting it on FB, and sharing with followers again. It is fun posting things to boards on Pinterest...things that you like. Thanks! This is another of my favorites of your hubs. I love the photos and the flowers are in one of my favorite colors. So much good information here for people who want to grow these beautiful flowers themselves. I'm going to share this hub with my followers again, and then make this my first pin on my "Trees, Plants, & Flowers" board on Pinterest. We do not have room in our current yard for oleander bushes so just have to enjoy them wherever we see them planted. 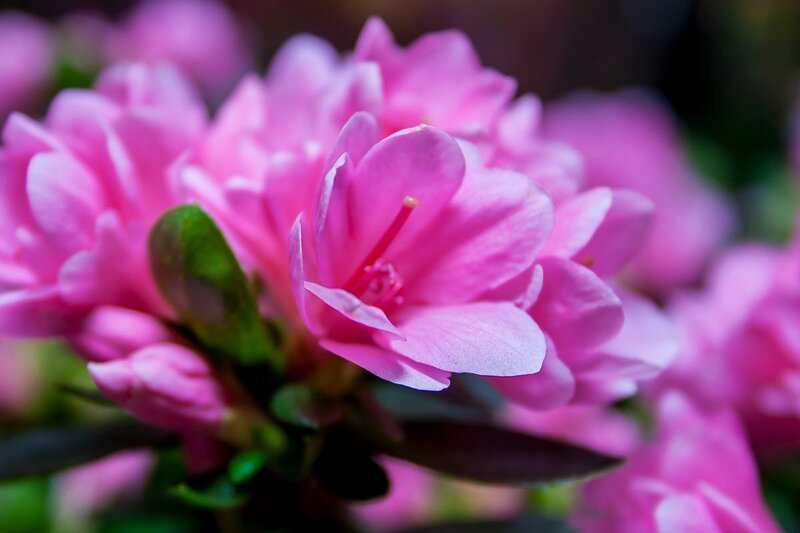 Many people grow them in our area, so we do not have to look far to enjoy the various colors and hues of their blossoms. Thanks for your votes + share. Your photos and videos are so gorgeous! I love these flowers and I wish I had a place to grow them. Lots of good information here, too. I feel certain my readers will enjoy this hub and I plan to share it with them. Voted up and UBI. Will share! If you don't typically see oleanders growing in your area that might be the first hint that they do not do well in your climate. Your local nurseries should be able to advise you as to whether they are good to grow in your area. I know when we had severe winters in Houston, they would die back...but we simply cut them back and they regrew quickly and more lush than ever. Good luck with your endeavor and thanks for the votes and share. As you can probably tell from the photos, the regular sized oleanders get to be huge bushes eventually with a spread of approximately 5 to 6 feet or more and a height of 8 feet or even higher. Most often (at least where we live) I see them planted out against fences or in the medians between highways. If I were planting them against a house, I would hold them a good 5 feet or so out from the foundation knowing how big they eventually get. The dwarf varieties...perhaps 4 feet out. My mother had the dwarf varieties planted against her 6 foot fence as a hedge and they reached the top in height and we planted them about 3 1/2 to 4 feet apart from each other. TO BE SAFE, check with a good nursery as to their suggestions. Hope this helps! Hi Peggy, I have a question for you. How far do I need to have a oleander shrub from my house so I doesn't damage my foundation? Thank you for the compliment. If one takes enough pictures...one sooner or later gets lucky! Ha! Now with digital cameras there is no reason not to take many photos and just delete the ones that are not up to par. In the old days development of film cost money so that was a consideration. Glad that you enjoyed this hub about the oleander shrub. Thanks for your comment. Hello, Peggy, you are an absolute superb photographer. I feel like as if I could tough them. Thank you for this enjoyable hub. The masses of oleanders is a beautiful welcoming site when driving into Galveston. I agree! Thanks for your comment. Wonderful hub. The oleanders along I-45 heading south to Galveston were one of the first things I enjoyed when I moved to TX. I'd never seen them before and the colors were fabulous in mid-July! Yes, supposedly if an animal or person ate a lot from the oleander plant, it could be poisonous. But I also heard that the leaves are bitter. Didn't try out that theory by sampling the leaves...obviously. Ha! We always had dogs and never had a problem. With as many oleanders as are planted around here, obviously the toxicity is no major problem. Thanks for your comment. Oleanders do bloom freely and often. Nice that you also get to enjoy them in Bangalore. Thanks for your comment. 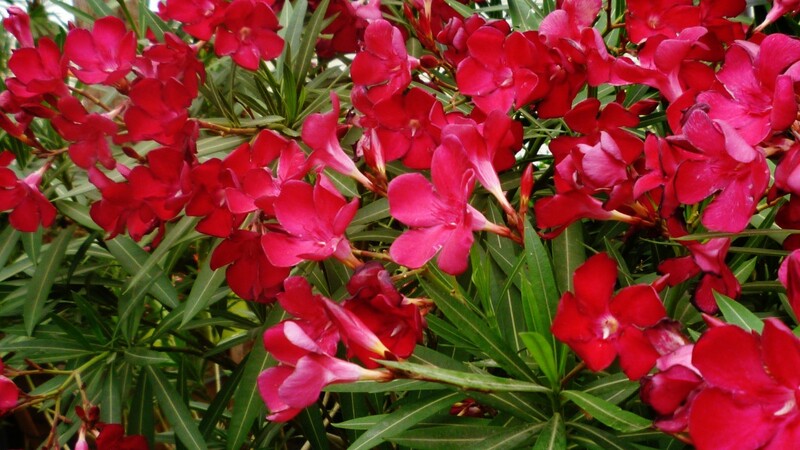 Glad to be able to introduce the oleander shrubs to you via pictures and information. Thanks for your comment. Very nice and informative blog. I didn't know before whether it is a poisonous or toxic shrub but I agree that it is very hardy and evergreen. I have in our rooftop both white and pink colored oleander but it doesn't blossom like your house for obvious reason. I like oleanders because they are always in bloom and they come in different colors.In my place Bangalore, these plants are found planted in front of the houses. It adds beauty to the house itself. Oleanders certainly serve a number of good purposes! Thanks for your information of how they are used in California. Wonderful info about these hardy shrubs. They are planted along the medians of some freeways in CA-- like the 99 through the central valley up through Sacramento. Being drought tolerant and able to thrive in substandard soil, they prove a nice screen and their tough flexible, dense stems are also a good crash barrier. During the summer they are a beautiful blooming sight, as well. That was news to me too that oleanders may be used in the fight against cancer. There is probably a cure for every disease if we only know where to look. That is the tragedy about so much of the rain forest disappearing at an alarming rate. Not only does it supply a good part of the oxygen that we need to breathe, but who knows what eventual cures may be disappearing right along with it. Thanks for your comment. 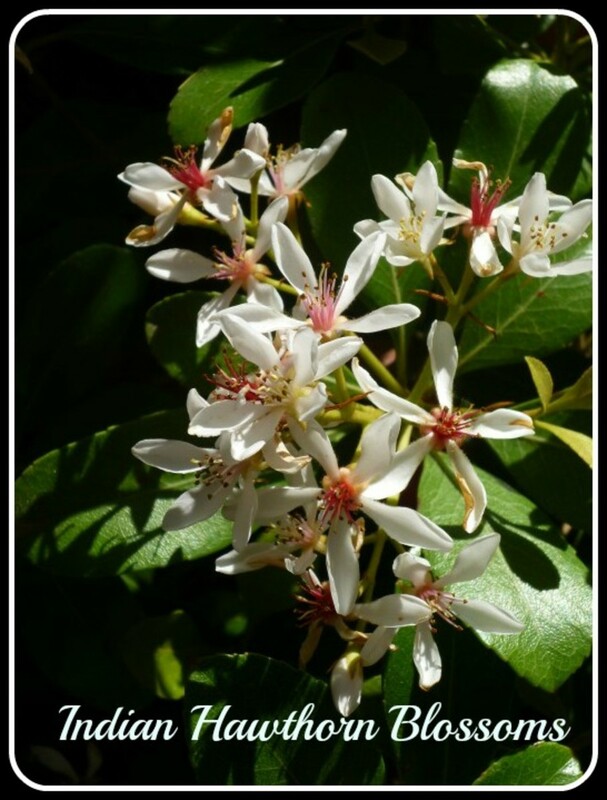 Beautiful photos about a beautiful shrub, Peggy! The pink flowers are my favorite - I love their delicate color. I was very interested to hear that oleander may help fight cancer. Oleanders really are great hardy, evergreen and blooming shrubs for our climate...pretty too! Thanks for your comment. Your garden is absolutely beautiful. I love Oleanders and their beautiful blossoms. I love the fact that Oleanders are hardy shrubs and can grow nicely in cooler temperatures. 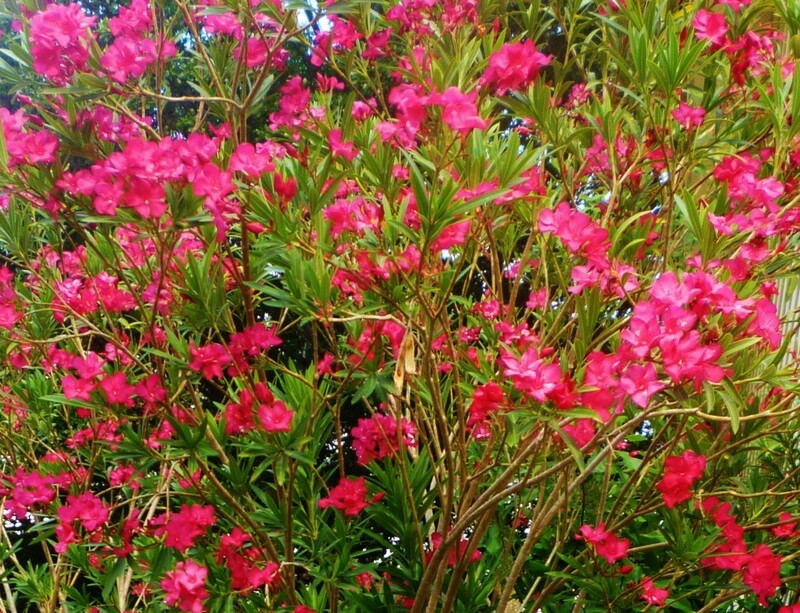 Great photos and interesting videos on the care of the Oleander shrubs. Thanks for being the first to respond on this oleander hub. 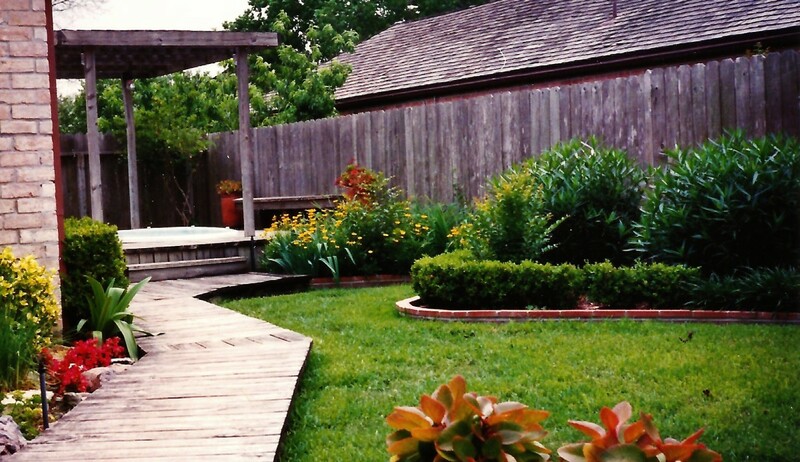 There are many of them commonly used for landscaping in our area and they are always so beautiful. EACH picture is gorgeous -- so hard to select a favorite! 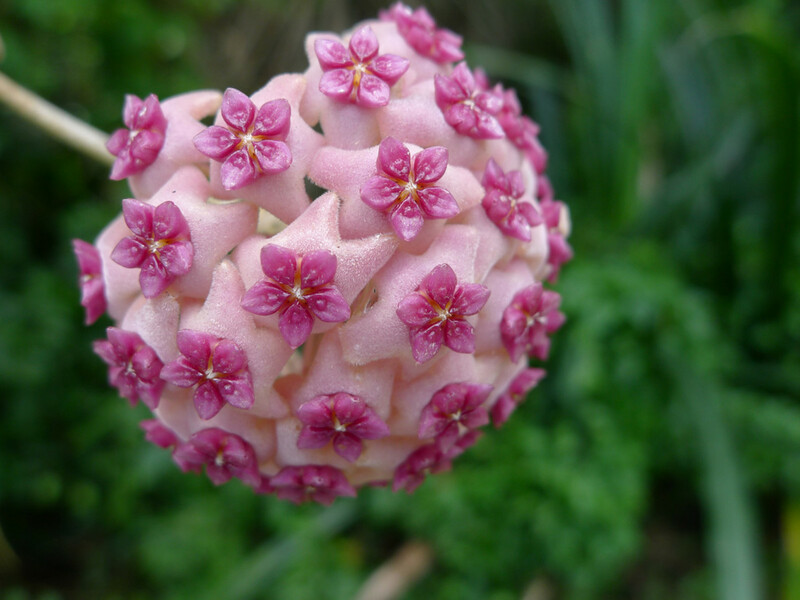 A beautiful and gracious flower, thank you for sharing it with us. Voted UP & UABI, mar.